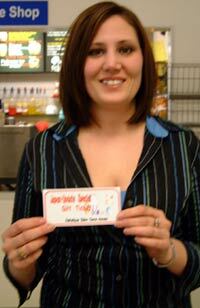 Betty Hallman from Huntsville, Alabama, won a Y5,000 gift coupon to Esthetiq Salon Come Across. She has lived on Okinawa nine months and say that her whole family has enjoyed their stay on the island very much. She is an avid photographer and likes to travel to take pictures of various sights of the island with her husband and son. Heather Flores has been on Okinawa six months. 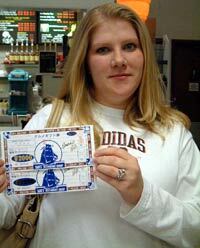 She is the lucky winner of two dinner coupons to Sam’s-by-the Sea restaurant. She calls Moundsville in West Virginia home, and says her life on Okinawa has been quite “eventful” so far. She spends her free time playing with her children and also likes to do dancing every once in a while.